I wish I could find that stuff to buy somewhere close! That’s a fantastic idea!! ;-D That should totally be our next movie snack. I agree – I was sort of turned off by the texture at first as well (I think part of me expected it to be sweet for some reason). 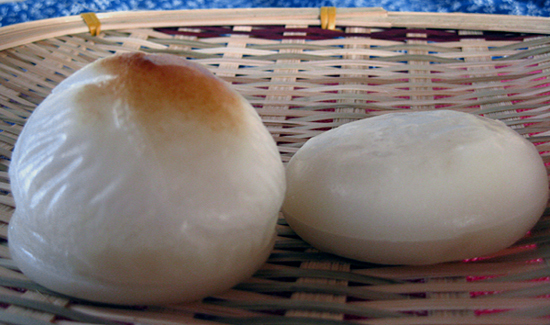 I bet it would be fun to grill mochi over a camp fire! And I’m happy to hear that you tried the ozōni and liked it! 😀 When I actually made it for New Year’s, instead of chicken breast I randomly made chicken dango with yuzu zest and that was quite good too.